The Latin Billboard Awards (#Billboards2017) will air live April 27 on Telemundo, capping the Billboard Latin Music Conference that takes place April 24-27 at the Ritz Carlton in Miami Beach. To register, click here. CONGRATULATIONS!!!! I hope he wins all 5. 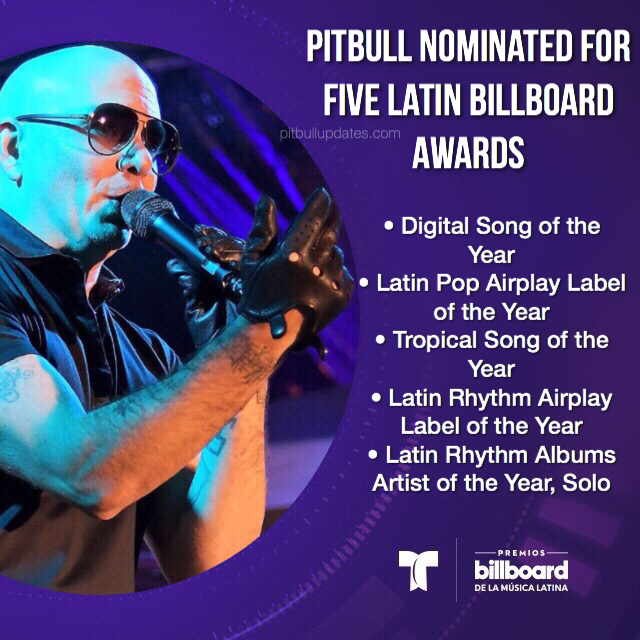 Pitbull so deserves these nominations! The man is Genius, talented, grounded, an awesome role model for all and amazingly very generous!